I went to Barcelona in late 2012 . 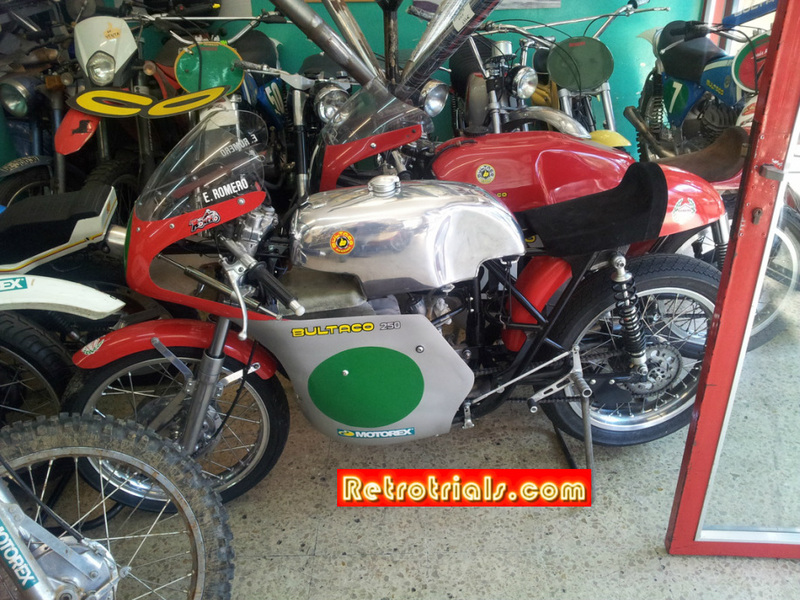 Whilst i was there, a visit to Romeros Bultaco shop was a must for me. 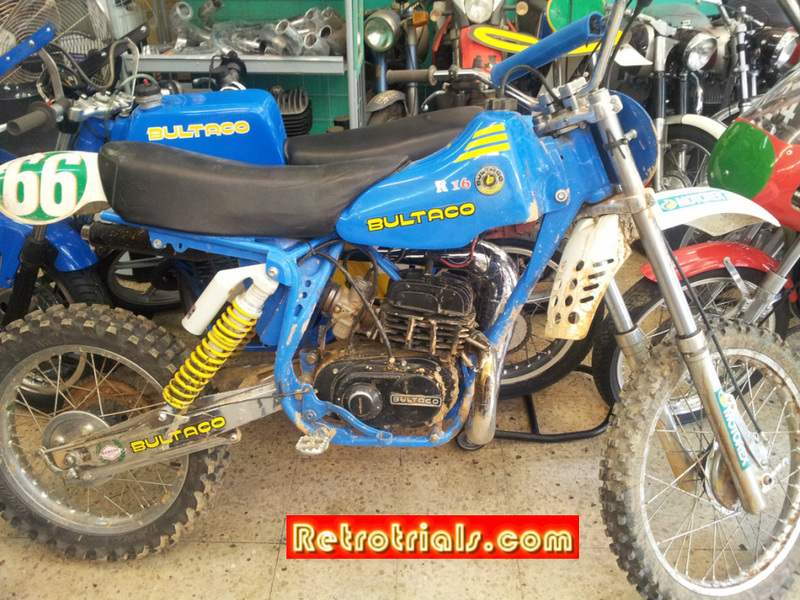 The Romero family eat, sleep and breathe Bultaco. 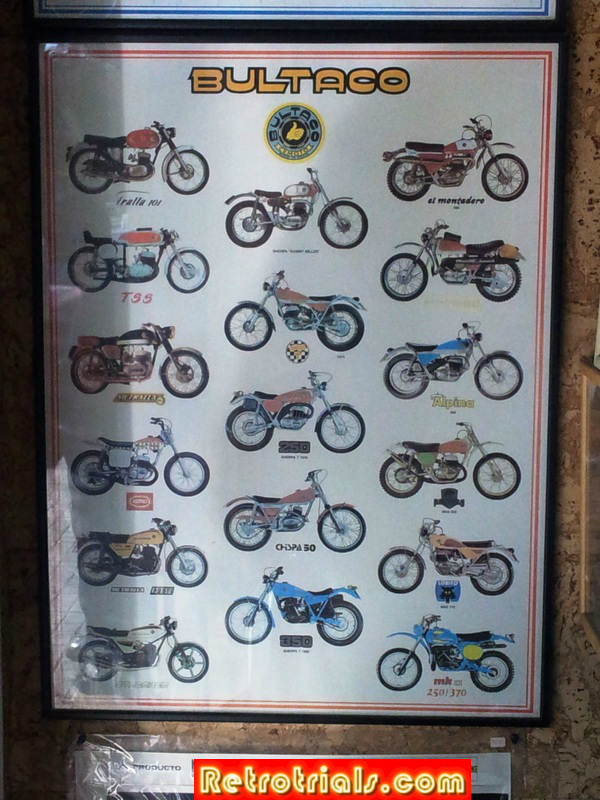 They all used to work for Bultaco back in the day and have emersed themselves in Bultaco ever since. Here is a short very interesting article explaining in their own words their history. The shop is run by Jesus , Lucia his wife and their daughter Cristina. 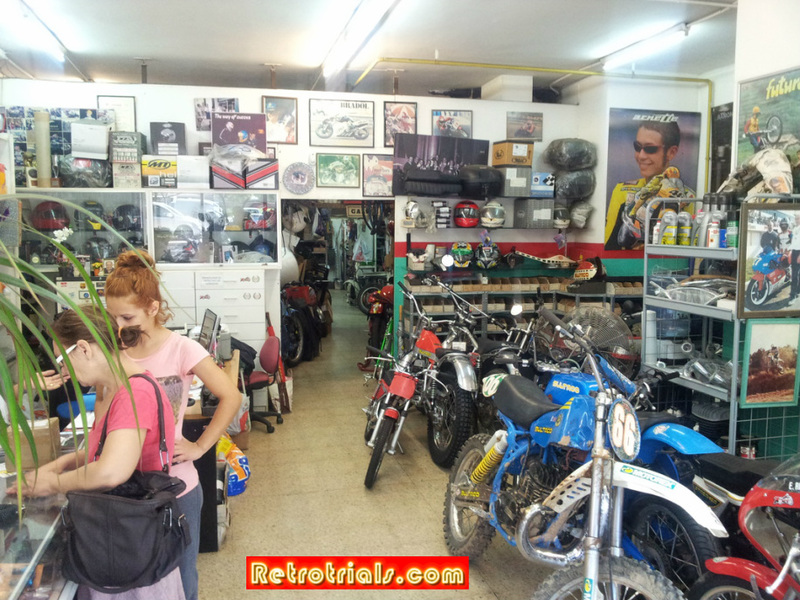 Romero Motos are the perfect example of passion for the world of motorbikes. The history of its founders goes back to the Fifties when Jesus Romero formed part of the staff of Bultaco, together with his brother Pedro. 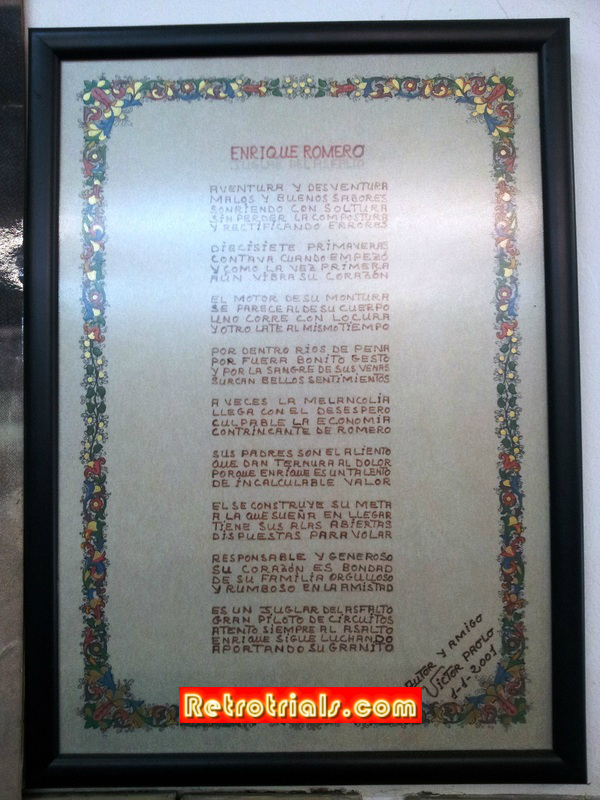 He worked in the Catalonian factory in the department of research and racing, immersed in the world of new prototypes and the test-bench, calculating, trying out new solutions, checking the resistances of the materiales, tuning the engines: immersed in the very origens of the motor-bike. Working in Bultaco was not merely accidental, but the result of his juvenile ambitions. Jesús remembers the first light motorbikes he saw, Velosolex, Derbi "paleta"(so nicknamed because manual labourers used them) as he called them, those machines from his childhood, which would mark out the path he was to follow. 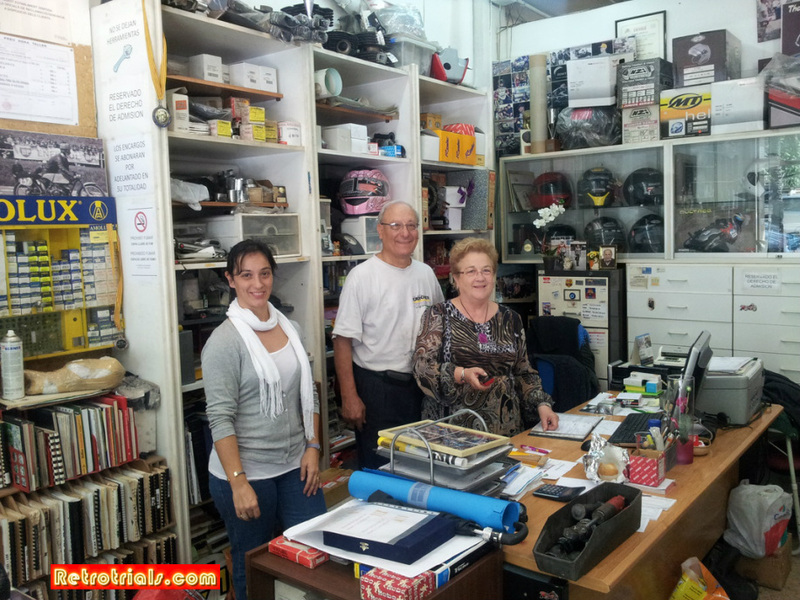 In the Bultaco factory he learned all about the "entrails" of the motorbike. " There I learnt what a bike is all about" says Jesús. "On the test-bench everything was very easy, trying out the engines, getting their maximum potential, observing the torque graph and seeing how long they lasted". But not only did he limit himself to research tasks, but also wished to grasp the handlebars and race, a wish which he did achieve but which finally caused him quite a few head-aches. "There were five apprentices in Bultaco, and only two were to be promoted and therefore able to race",explains Jesús. However fate was unkind to this man, and he suffered a serious accident in 1966, while training; this caused him to stop competing for some time. In a jump, he fractured his leg in four places and was on the point of losing it. The company then sent him as Derek Rickman's mechanic to England. 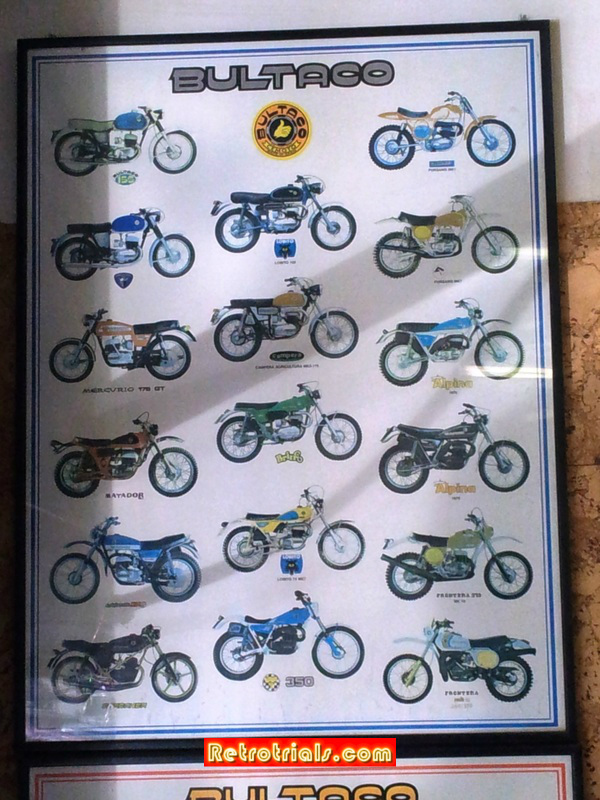 That was the reason for his leaving racing, since from then on, Bultaco offered its bikes to foreign racers. Logically, greatly displeased, he decided to change his allegiance. This change was to Montesa, where he was to continue free-lance, "Not as a company racer", he adds. In fact the only support he received from the company was in spare parts. In the whole of this process , he was aided by his brother Pedro, who accompanied him as his mechanic. Things, however didn't go as well as expected since his accident, and Jesús decided to leave racing for a time from 1969, "I spent about three years disinterested in bikes". In this lapse of time this racer-technician-mechanic earned his living driving lorries, a situation against his nature and which couldn't last long. Hence, when some friends opened a mechanical workshop, his collaboration was soon solicited. At first it was just bits and pieces, but little by little , the giant within him began to awake and he soon succumbed to his passion for motor-bikes. 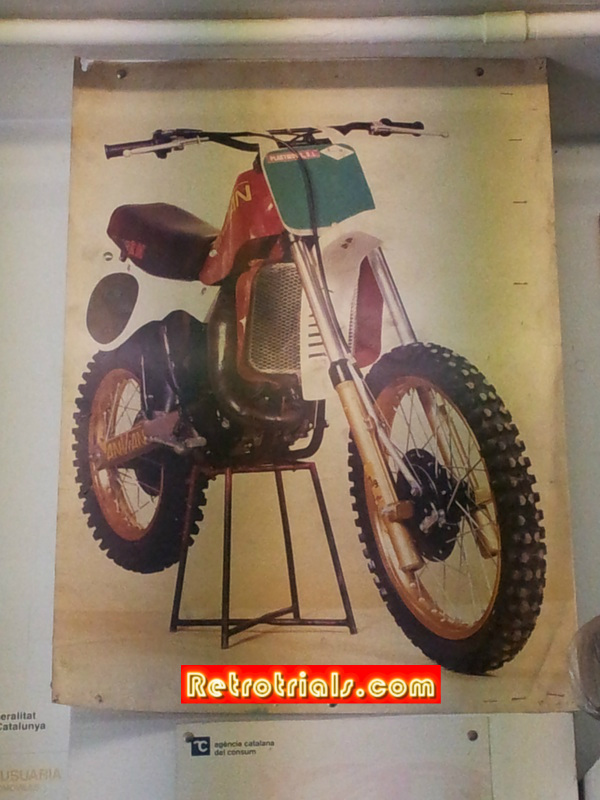 Anvian was a brand Catalan of motorcycles that specialized in making motocross bikes ​​between 1980 and 1982 in Ruby , Valles , Barcelona , Spain . They were fitted with I talian Villa engines and made with 125 and 250 cc . 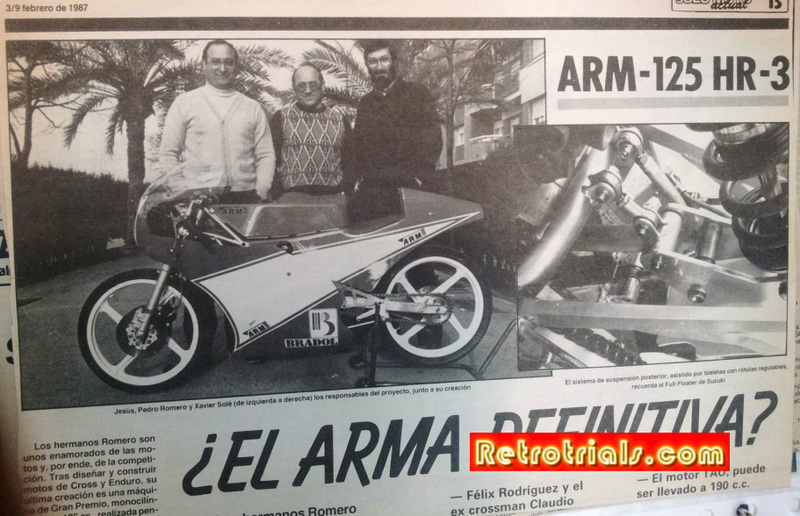 In 1982, the company was refounded under the name of ARM and moved to Sant Adria de Besos .